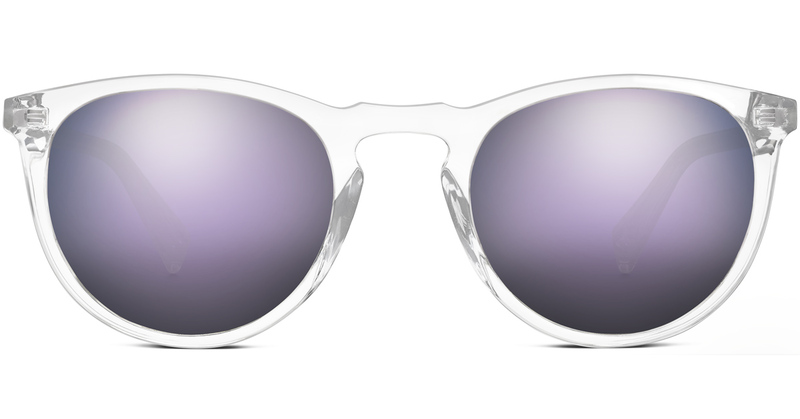 I am a huge fan of sunglasses and one of the things I am most excited about for the spring is bringing them back out! I am so over the dull, foggy days and so ready for the sun to come back! 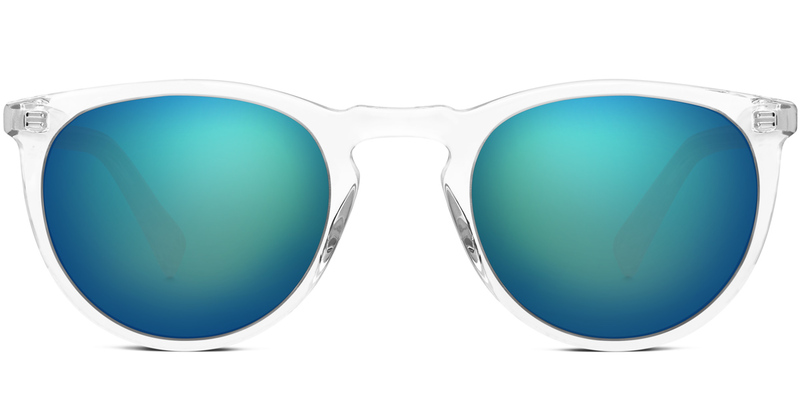 I have found some really cool sunglasses from Warby Parker's new collection. I am all about the transparent frames right now. I've actually been looking for both reading and sunglasses with transparent frames for so long and I finally found the perfect ones! These newly-released shades come in different colors of flash lenses, my personal two favorites are the blue and purple ones. They are really the perfect combination of vintage-inspired frames with modern, eye-catching lenses. 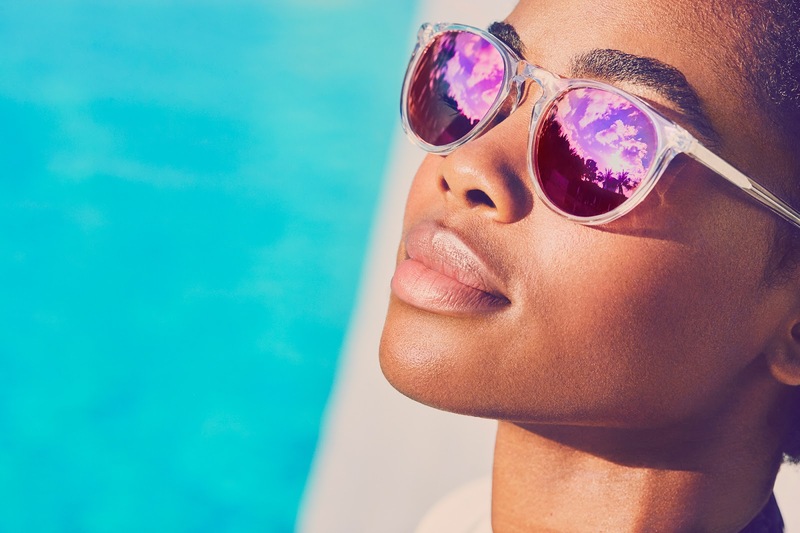 The cool thing about statement sunglasses like these is they will make any casual outfit look so much chicer and effortlessly cool. I have made mood boards for each of the two pairs to show you guys the outfits I would wear with them! Let me know what you think and what you would pair them up with! The blue ones are perfect to spice up my usual casual, minimalist outfits. 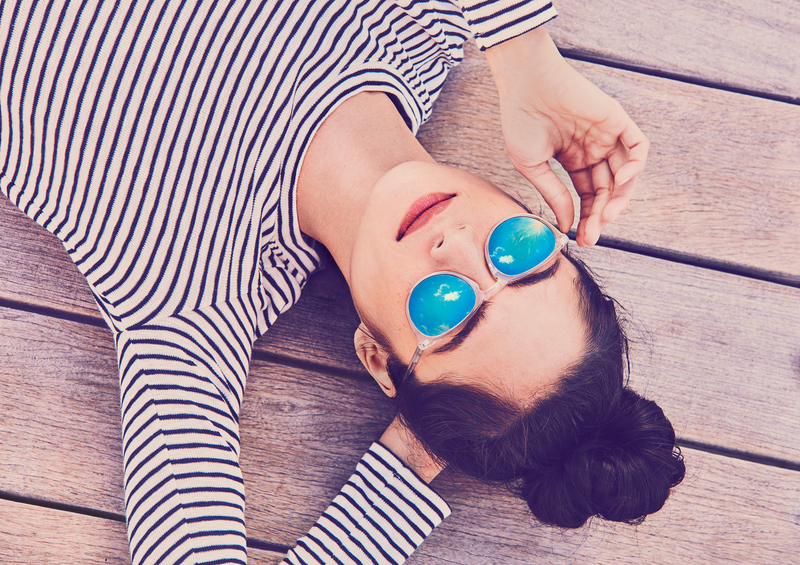 I could see myself wearing these sunglasses with denim, stripes and basic, plain colors such as white and different shades of gray and blue. These sunglasses combined with some nice metallic shoes allow you to keep the rest of the outfit minimalistic and plain but still look put together and chic, and I'm all about that effortlessly cool/somewhat-messy-but-trendy vibe. They would be perfect for a nice brunch on a Sunday morning with my friends, a.k.a. my definition of a perfect day. The purple ones are absolutely amazing and I don't just say that because purple is the color of Northwestern (but Go 'Cats!). I can see myself wearing them, of course, with all of my school apparel (chic school pride is the best school pride) but also with more edgy outfits. I can see myself wearing them with anything from velvet burgundy, to light pastel colors, to oversized band t-shirts, and, of course, slip dresses paired with plain t-shirts. They really do have a cool girl vibe going on, which is a must-have in my book. Let me know if you guys like the outfits and what you would wear sunglasses like these with!